For those interested in viewing and hearing AFT President Randi Weingarten's keynote address at the recent AFT local 1904 50th Anniversary Celebration at Montclair State University, please click on the link, below. 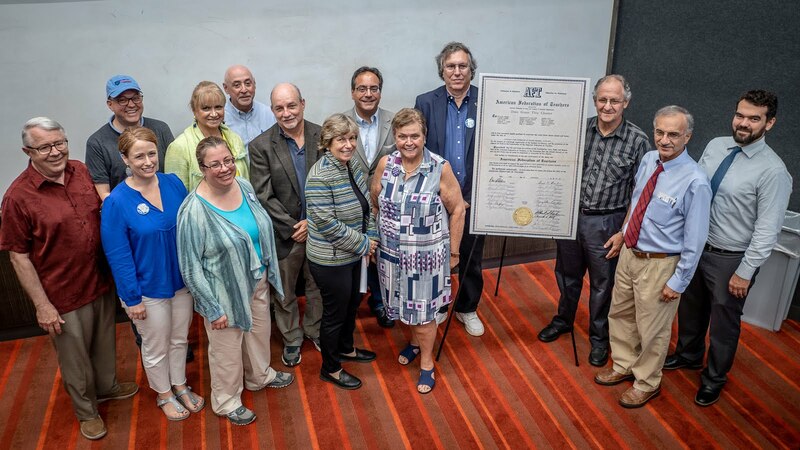 On Friday, September 14th, 2018, the AFT Local 1904 celebrated the 50th anniversary of its original charter, signed on the same date in 1968. 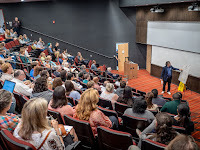 The event was held in the Amphitheater of the newly-renovated CCIS building (previously Mallory Hall) on the MSU campus. In attendance were approximately 150 people, including numerous members of the Local community, as well as officers of the Local. Also in attendance were officers of AFTNJ and CNJSCL. Local President Rich Wolfson shared an historical perspective of the Local. 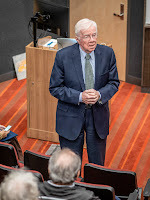 Special guest, NJ Assemblyman Thomas Giblin offered remarks and the presentation of a formal proclamation of congratulations to the Local. 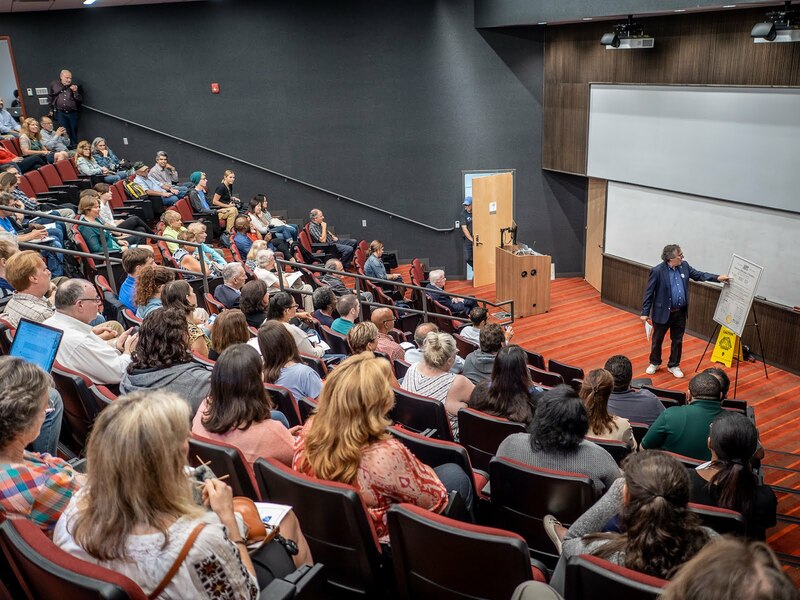 Keynote speaker, AFT President Randi Weingarten, delivered a powerful message about Montclair State's role in the future of public education and democracy in America. Rocky the Red Hawk greeted attendees. Students distributed buttons with words of solidarity and equality. A barbecue lunch was served. 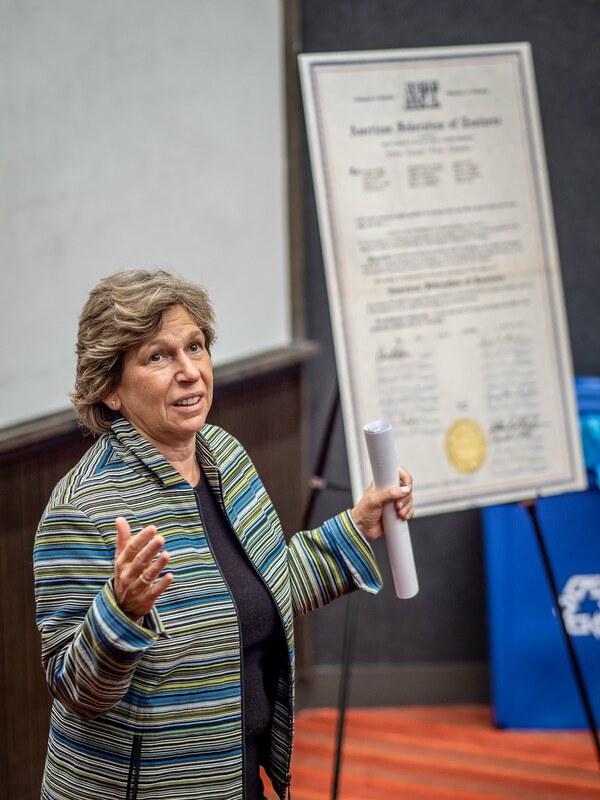 Photos -- Top Left: AFT National President Randi Weingarten, keynote address; Top Right: AFT Local 1904 President Rich Wolfson, presenting the Charter and an historical perspective; Bottom Left: Hon. Thomas Giblin, NJ Assemblyman, remarks and Proclamation of Congratulations; Bottom Right: Local, State, and National AFT leadership. Photos by Mike Peters. Click Here for the full story, in the Montclarion.